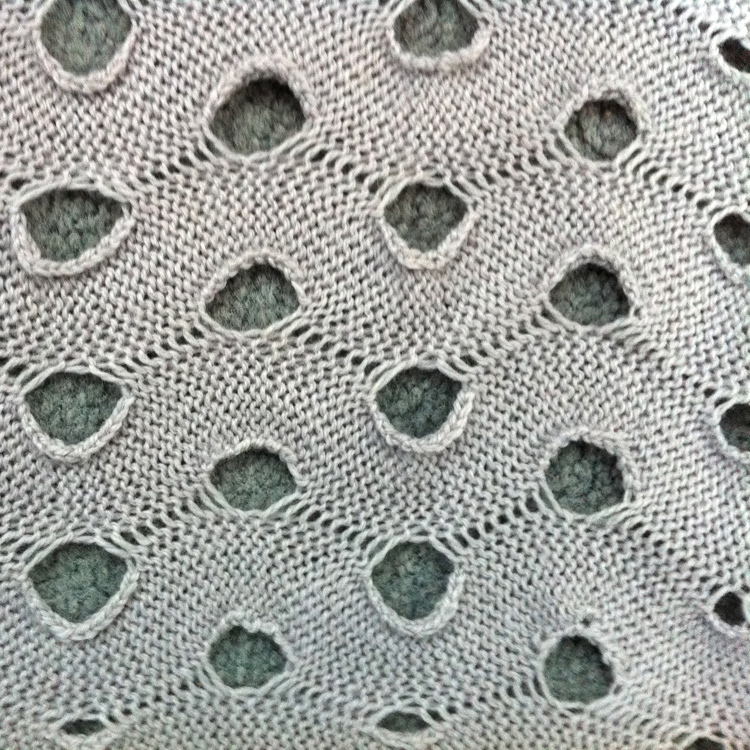 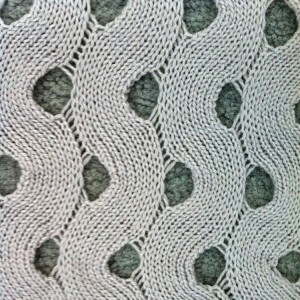 A follow up to the previous “horizontal cable” post: it has a relative that produces a flat or textured “lacey” fabric depending on number of rows knit in each segment. 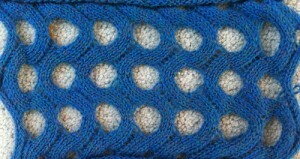 going from larger holes on one side to narrower in the opposite will make the knit “ruffle” on the edge with larger holes, etc. 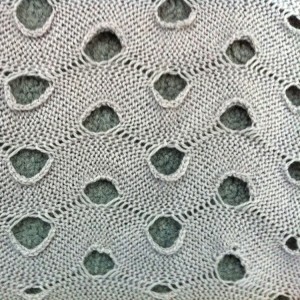 Artists using such structures in their work include Ruth Lee and Diana Eng. 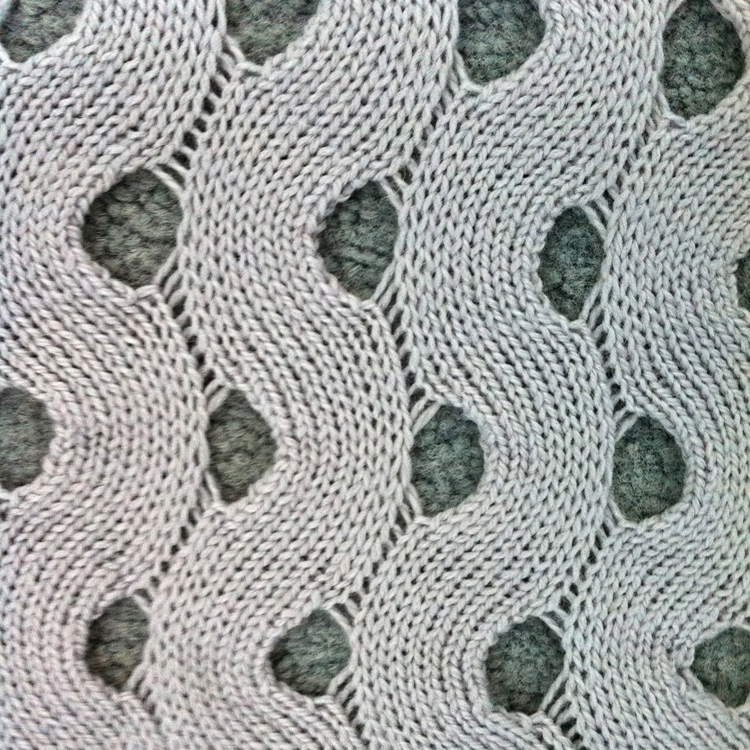 The latter addresses the construction of her fibonacci series scarves in her blog in a post dated October 21, 2011.